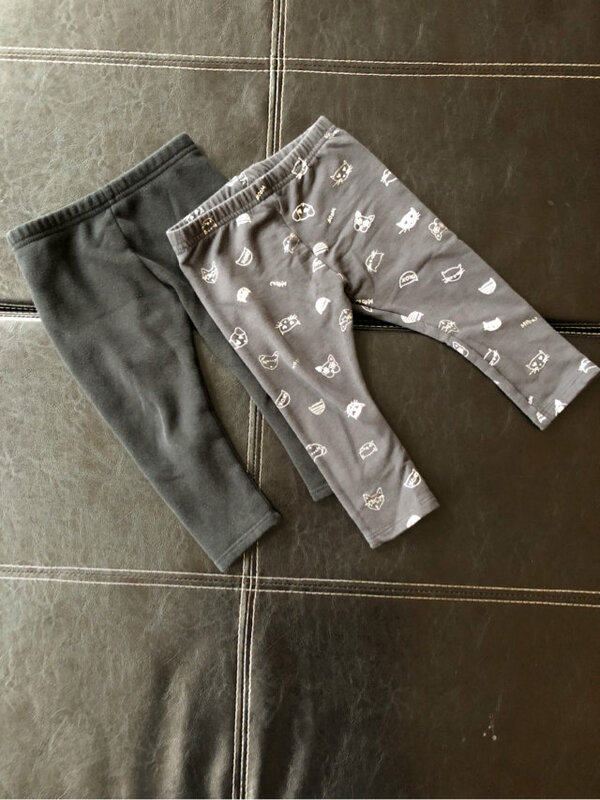 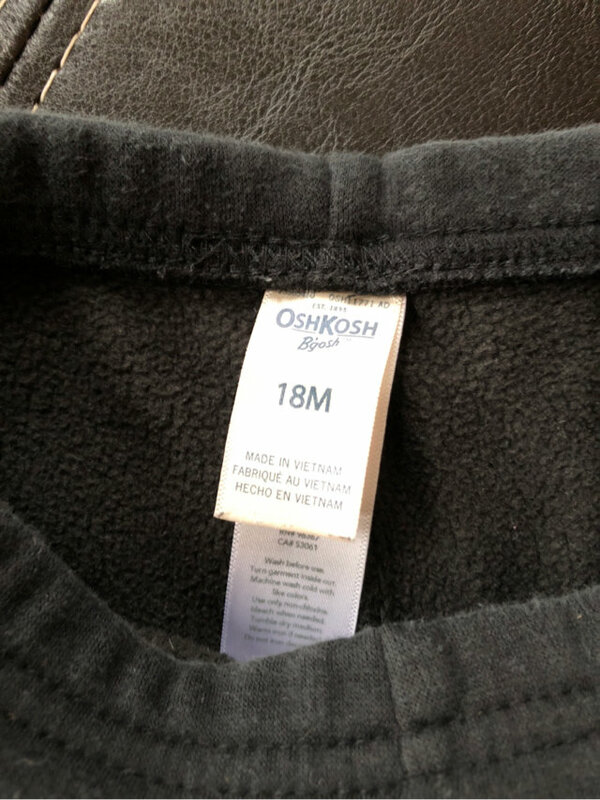 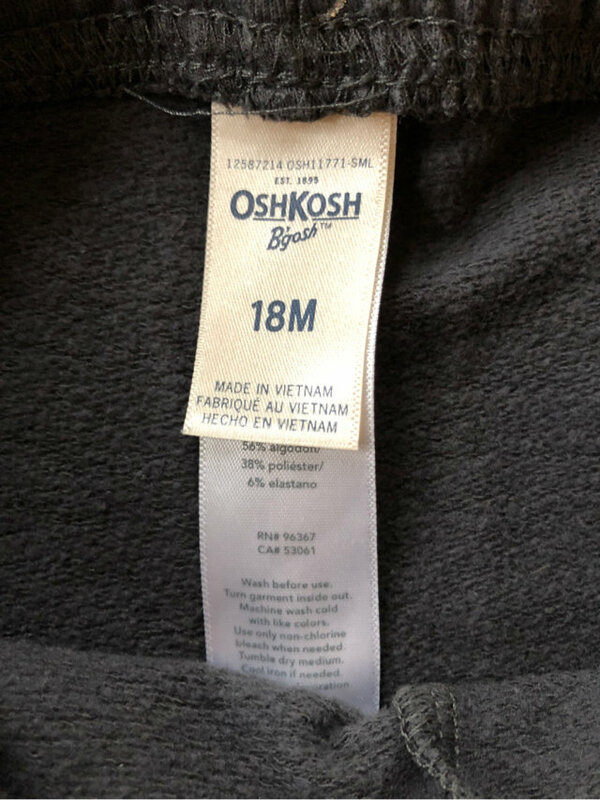 This is a pair of two cute little cotton pants by OshKosh One pair is just black and the other pair is gray with little cat and dog heads. 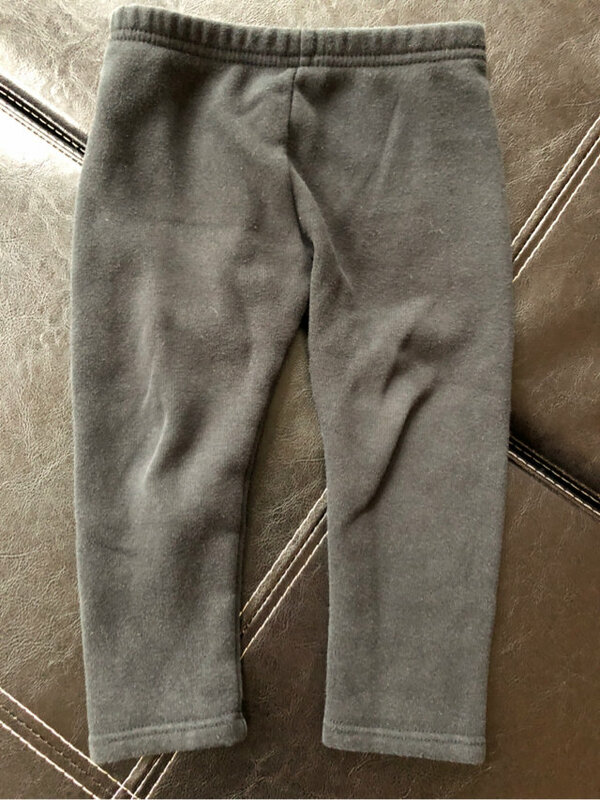 Adorable, soft and warm! 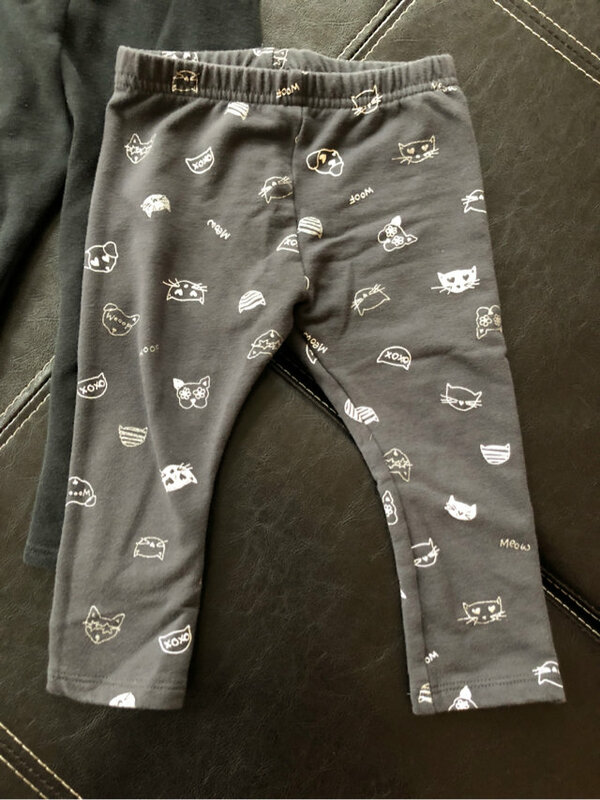 Size is 18 months.